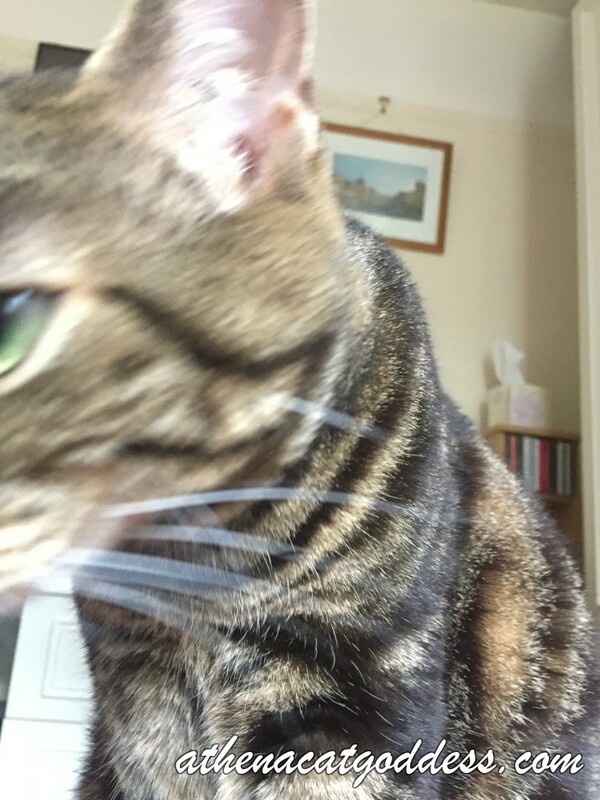 Tried to take a selfie for The Cat On My Head's Sunday Selfies blog hop and it went wrong first try. For those of you who do not have an Instagram account. or who don't follow me on there (why not? ), here's another cute video of me making biscuits on Mum's cardigan. We like your second picture, it's a touch more interesting than a simple facing forward shot isn't it. I always have a couple of "off" selfies before I get it right! Very nice selfie!!! We loved the video of you making biscuits!!! You look great no matter what pose you are in Athena. The ear twitch makes it look unique! Yur selfie iss pawsum Athena!!! Everybuddy thinks taking a selfie is easy. Well, we know it's not. But you did okay, Athena. Very nice, Athena. 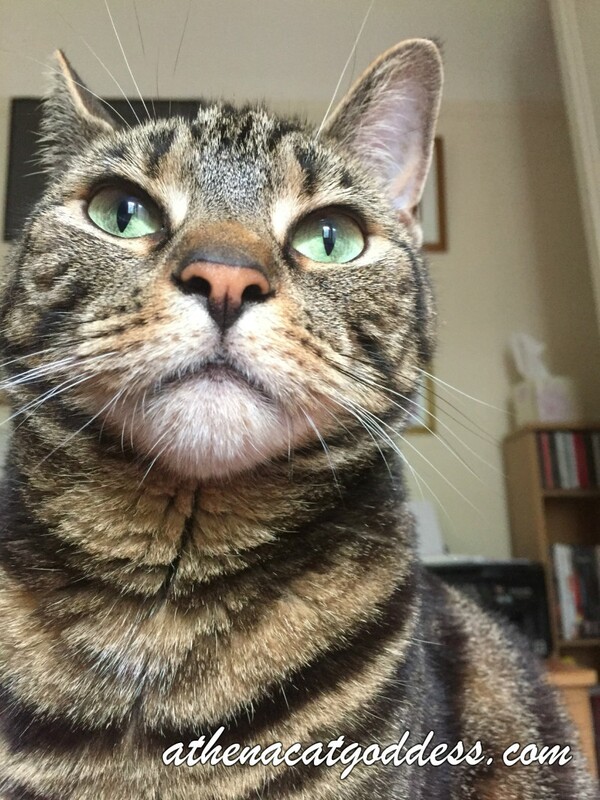 We think you did a good job with your selfie, because it's not as easy as everybuddy thinks! It is very hard to take a good selfie with so many distractions, but you succeeded. I like the spontaneity of your first selfie. Athena, you're looking as beautiful as always.And we believe in biscuit-making wherever one can, we hope you enjoyed the cardigan and left a little after your bakings! Hey cutie, great selfies and I definitely follow you on IG! I just love that biscuit video, whether it's on here or on Instagram!